A finished section of Ntungamo-Rukungiri road. The Uganda National Roads Authority (Unra) has in the last five years spent more than Shs3.8 trillion on the rehabilitation of 18 major tarmac roads and upgrading 12 others from murram to tarmac, with the lion’s share of money and kilometres worked on going to western Uganda. Figures obtained from Unra in regard to 27 roads totalling 2,274.5km revealed that Western Uganda took within the region of Shs1.8 trillion, which represents 49 per cent of the roads money and 687.4km of road network which represents 30.22 per cent of the length of roads that were worked on. Northern Uganda took Shs480.96 billion, which is 13 per cent of the funds and 386km, which represents 16.97 per cent of the total number of kilometres that were worked on in the said period. Eastern Uganda got Shs598.67 billion, which is 16 per cent of total spent and 362km which represents 15.91 per cent of the total number of kilometres fixed. The smallest potion of the money went to central Uganda, which got Shs466.3 billion, representing 13 per cent of the funds and 295km which represents 12.96 per cent of the length of roads worked on. Roads shared across regions amounted to 544kms which represents 23.91 per cent of the total number of kilometres worked on. The shared roads, include the 154km Masaka-Mbarara road, which is shared between central and western regions, the 123km Soroti-Dokolo-Lira road, which is shared by the east and the north, the 208km Kawempe-Kafu-Kiryandongo road, which is shared by central and northern regions and the 59km Kiryandongo-Karuma-Kamdin road, which is shared by the north and the west. The 18 roads that were rehabilitated are mainly old roads which had been constructed by either the colonial or Obote I and II governments. These accounted for 1,176km of what Unra worked on. The biggest share went to eastern Uganda, which besides the part it shares with northern Uganda along the Soroti-Dokolo-Lira road, took a total of 362km, representing a share of 30.78 per cent. In third was western Uganda, which besides the Masaka-Mbarara road and the Kawempe-Kafu-Kiryandongo roads, which it shares with central region got a share of 124km representing 10.5 per-z cent. Northern Uganda came out with the least number of rehabilitated kilometers, taking only 62, which represents 5.3 per cent. Roads shared between the regions took a total of 421km, representing 32.8 percent of the roads. In this story, we concentrate only on the roads that were worked on and completed over the past five years. There are a number of ongoing road projects across the country, which will be dealt with in a subsequent story. Eight out of the 12 roads that were upgraded giving Uganda another 971.5 kilometres of tarmac are located in western Uganda, while three are located in the north. One is located in central Uganda, while one is partially located in the north and the east. The new roads in western Uganda amount to 646.4 kilometres. These are the 83 kilometre Mbarara-Ishaka-Bwizibwera Road, the 104km Fort Portal-Bundibugyo-Lamia road, the 101km Kabale-Kisoro- Bunagana road, the 68 km Nyakahita-Kazo Road, and the 75km Kazo-Kamwengye Road. Others are the 92km Hoima-Kaiso-Tonya road, the 88km Mbarara-Kikagati-Murongo road and the 36.5km Ishaka-Kagamba road. The three new roads in Northern Uganda are the 92km Vurra-Arua-Oraba road, the 74km Gulu-Atiak road and the 35km Atiak-Nimule road. The new road in central region is the 42km Matuga-Semuto-Kapeka road, while the one that lies in both the east and the north is the 123km Soroti-Dokolo-Lira road. However, while most of the new roads are located in western Uganda, which is comprised of the Rwenzori, Bunyoro, Kigezi and Ankole regions, a closer look at the list of new roads reveals that the majority are in Ankole sub-region, where they form a network that connects all the districts to tarmac. The roads in the network include the Lyantonde-Ibanda road which is also known as Kaguta Road, the Mbarara-Ibanda-Kamwengye road, the Mbarara-Isingiro-Kikagati road, Kabale-Kisoro- Bunagana road the Ishaka-Kagamba Road and the Ntungamo-Mirama Hills road. The Ntungamo-Mirama hills road is yet to be completed. Besides the kilometres it shares with Tooro along the Kazo-Kamwengye road, Ankole sub-region took 191.4km which represents 35 per cent of the 545.4km of new roads, which went to western Uganda. Tooro and Bundibugyo shared 104km, which represents 19 percent, while Bunyoro got only 92km, which represents 17 per cent of the share of new roads that went to western Uganda. 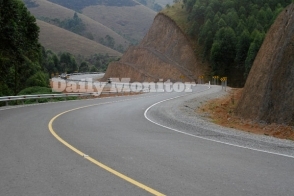 The only new road in Kigezi region is the 101 kilometre Kabale Kisoro Bunagana Road, which was completed in 2012. Busongora North MP, Nzonghu William (FDC), who is also the Shadow minister for Works and Transport, said it was “an act of selfishness” on the part of President Museveni and the ruling NRM not to distribute road infrastructure evenly. “Even the road to (President) Museveni’s place, which is of no economic significance, was tarmacked. What is in greater Ankole? Only cows! It has no substantive resources that contribute to the Gross Domestic Product (GDP), but it has a network of well tarmacked roads,” Mr Nzonghu said. Hoima Municipality MP, Dr Lawrence Bategeka, (NRM), who is also the vice chairperson of the parliamentary Committee on the National Economy, acknowledged that there is issue with “distribution of infrastructure across regions” and questioned the criteria employed by UNRA in deciding which projects to work on and when. “Some people use justifications, which some of us don’t agree with. They say a road must be busy. That it must have economic returns, but how do you expect a road to be busy or have economic returns when it is impassable?” he wondered. Since tourism has been one of the major contributors to the economy over the last five years, failure to work on roads in Kigezi region, a gateway to Bwindi Impenetrable National Park, Elgon region, gateway to Mount Elgon National Park and those leading to the Murchison Falls National Park, or the road from Moroto to Kotido and Kaabong (gateway to Kidepo National Park), cast doubts over arguments that expected economic returns are a major determinant. The tourism sector’s contribution to GDP has been on the rise over the last five years. In 2013 the sector’s contribution to the economy was Shs5.6 trillion, rising to Shs6.4 trillion in 2014. During the same period, the sector provided slightly over one million jobs starting with 551,100 jobs in 2013 and rising to 592,500 jobs in 2014. During the same period, the sector saw 1,206,334 visitors come to Uganda in 2013, a figure which rose to 1,266,046 in 2014. Dr Bategeka attributed the inequitable distribution to possible influence peddling on the part of some people in government. “You can’t rule out (the role) of power centres in government. Those from certain regions are often at the centre of negotiations with donors. That might explain why some projects get the nod ahead of others,” he said, a charge denied by UNRA. In an email communication with Sunday Monitor, Mr Allan Ssempebwa Kyobe, the media relations manager in the office of the Unra executive director, said Unra simply implements government decisions. Decisions on which projects to be carried out and when are reached at a roundtable conference convened by the Ministry of Works once every five years for purposes of drawing up a five-year development plan. “The decisions are made by government, which represents the people in many aspects, to ensure that the programmes are responsive to the national economic development plans. The Minister of Works and Transport oversees this social political aspiration on behalf of government,” he wrote. Information available to Sunday Monitor indicates that the last round table conference was held in 2012 and attended by officials from both the Ministry of Works and Transport and those from Unra. However, efforts to establish who exactly attended that meeting and assumed the ambiguous face of “government” to make the decisions that Unra is implementing proved futile. Phone calls to the known mobile telephone number of the Ministry of Works and Transport spokesperson, Ms Susan Kataike, went unanswered, while text messages were not responded to. Sunday Monitor has, however, established that though the next roundtable meeting had been scheduled to take place during the course of this year, it will not be taking place. Officials in the ministry are said to have taken into consideration an announcement by Unra’s Executive Director, Ms Allen Kagina, at the end of June 2016 that the agency would not be taking on new roads projects due to both budgetary constraints and the need to first complete all the projects that she either found under implementation or those that she found at design stage when she assumed office. The decision to put off the round table conference was also said to have been informed in parts by the March 2016 Kyankwanzi retreat’s decision to align government policies to the NRM party’s 2016 – 2021 manifesto and the resultant directive to civil servants, political leaders and NRM party leaders to work in tandem, a decision which the NRM’s Deputy Secretary General, Mr Richard Todwong, defended in a recent interview. “We didn’t want any Ministry diverting or deviating from what we had promised. You don’t go through a national election then you surrender your government to civil servants. This time the party wants to be closer to government and be more responsible for what government does,” he said. 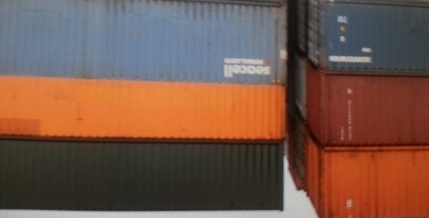 There are millions and millions of shipping containers. ese units, you may not need the ground space for two or more as you can have them as multi-storey. 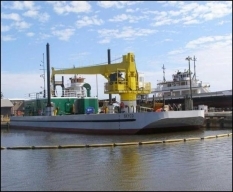 It is not right not to be able to build proper ports and not be able to build marine shipping for the country's industries and commerce when there is plenty of water bodies all over this country.